please contact the bank manager for the transfer of the money, i have read from the bank manager, he said that its you that hold now, to release the transfer of my money to your account, please my love, please i cant wait to join you darling, please help me, do all possible help me so that i will join you my darling and start my future life, please, please. i am single my darling, i did not have any friends here my love please i need to join with you so that i can have more happy life, please try to understand my situation here pleasedo something please. 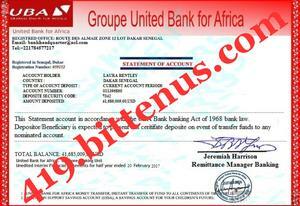 Subject: UBA Bank for the transfer of $41,685,009,00 into your account. 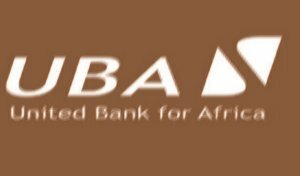 Thanks for your choice of United Bank for Africa (UBA Bank), for your offshore banking needs in the Dakar (Senegal) for your transfer. United Bank for Africa (UBA Bank) is remaindering you that our (UBA Bank) will close on 24th December, 2018. and will open again on 27th and close for the new year. UBA Bank, is informing you for your fund $41,685,009,00,USD from your partner, transferring into your account, and updating you that we are give all our customers Christmas assist, to enable them receives there funds for the season, to help you activate your transfer immediately with $250, and make your transfer to your account within 72hours.For further clarification call our Remittance Manager Mr. Jeremiah Harrison at our highly secure telephone +221.704706673 between 8: 00a.m - 4:00p.m (Monday - Friday) Dakar Senegal Local Time.United Bank for Africa (UBA Bank) Banking is your surest gateway to off-shore banking, funds warehousing, portfolio management, fiduciary & trust services in the Dakar Senegal.